Online content consists of multiple languages, so you may not always find the content you need in your preferred language. 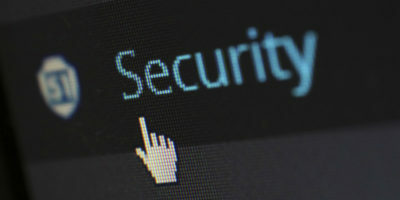 Even if English (whigh powers most of the web content) is your main language, you may still land on a web page or content that you may not be able to understand. If this happens to you often, then you might want to try a browser add-on to translate web page content on the go. 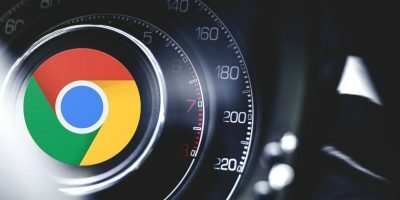 Below we have handpicked the best translation extensions for Chrome, Firefox, Safari and Opera. Google Translate is the most widely-used translation service that will let you translate over nI ery different languages. This is the official Google Translate extension for Chrome that is also powered by the same amazing translation service. The extension really makes translation a breeze. If it finds a web page that is not in your main language, it will automatically prompt you to translate it to your preferred language. You can also highlight text on any web page and translate it to your preferred language without leaving the window. It will let you translate phrases as you type them in the text fields. 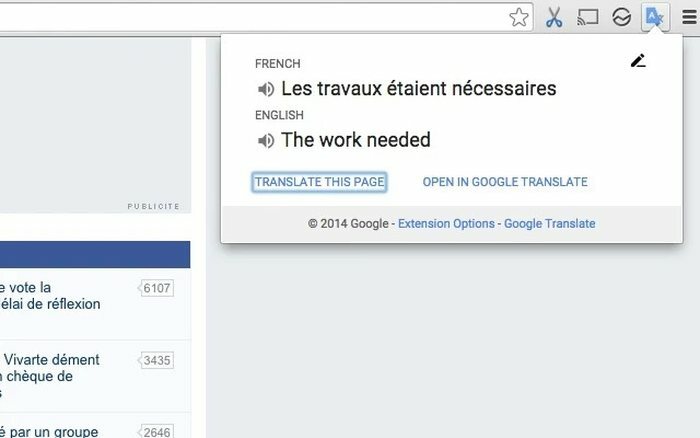 If you are a Chrome user, then this is the best translation extension for you. 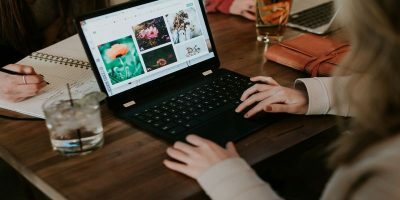 A Google Translate-powered extension for Firefox to easily translate web content, this extension lets you translate content using three different methods. It will add a button in the address bar, one in the context menu and you can also specify a hotkey to translate content with just the push of a key. All these methods apply to full web page translations and also for translating specific content on a web page. As Google Translate For Firefox is powered by Google Translate, it supports all the languages supported by Google Translate and the algorithm is also the same. Furthermore, you can also specify a main language to easily translate content without needing to specify it every time. Another good add-on for Firefox that is powered by Google Translate, this can do just about anything Google Translate For Firefox can do, and it comes with some advanced features that some people may like. 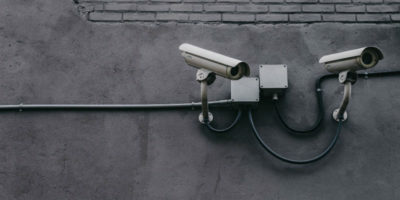 Apart from translating web pages with the click of a button, it can also automatically translate subtitles on Youtube to your preferred language. Additionally, S3.Google Translator also comes with a language learning mode that will automatically replace specific words online in a defined language to easily learn their use. Things get even easier with the built-in Text-To-Speech support that will let you listen to any phrase highlighted in the browser. It is a simple translation extension for Safari that will let you quickly translate any content on the web. 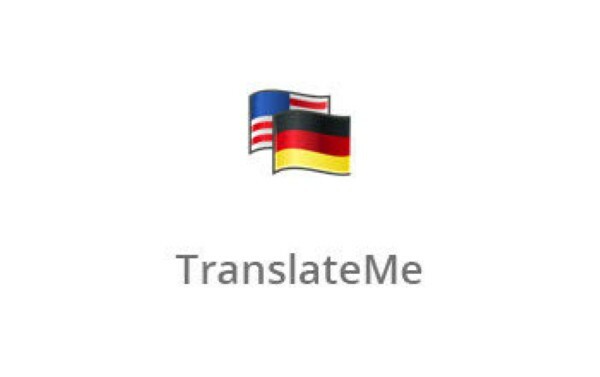 You can translate sentences or whole web pages using the TranslateMe toolbar button or the “T” hotkey. It also uses Google Translate for translating and supports all its features. You can use its Text-To-Speech feature to listen to the source text for better learning. 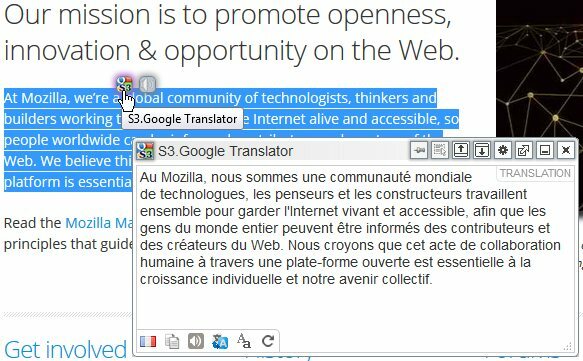 A Multi-browser translation extension that has a robust list of features and also supports Opera, ImTranslator uses multiple translation services, including Google Translate, Bing Translate and Babylon Translate. This technique leads to a more accurate translation as compared to using a single service. 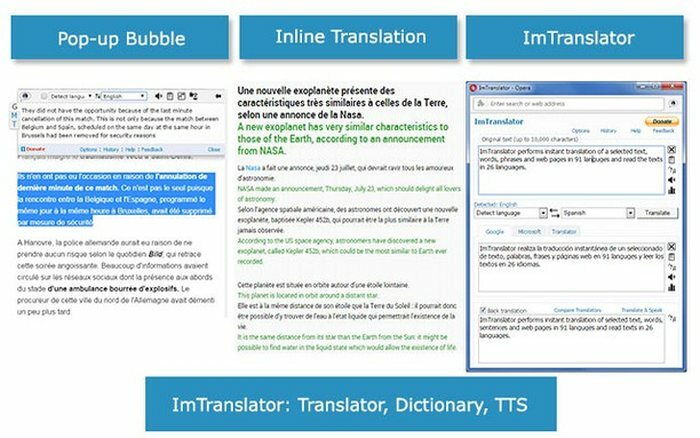 It uses multiple methods to display the translation including pop-up, in-line translation, replacing original text (keeping formatting) and separate window translation. You can also use multiple methods to trigger translation, including hotkey. 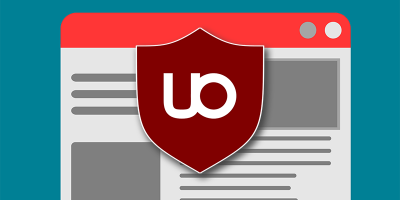 To top that, it gives a full customization option to control the behavior of the extension. 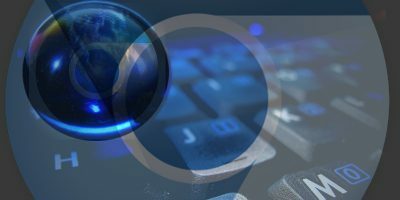 Customization includes content control, customized shortcuts, text color, bubble behavior, translation service use, individual language settings, translation history and much more. You can use any one of the tools above and should be able to translate any web page on the go. While most services use Google Translate, you can also use the all-in-one ImTranslate that supports multiple browsers and offers translation from a service of your choosing. Do comment below and let us know how you translate web pages and why. These are great translators in the browsers you mentioned. However I’m now using the Maxthon cloud browser and these extensions aren’t available there. 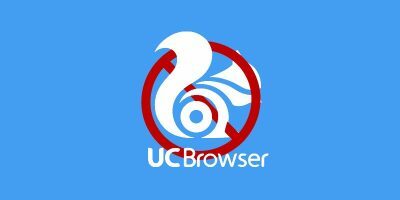 So can you recommend me a good one for the Maxthon Cloud Browser please?